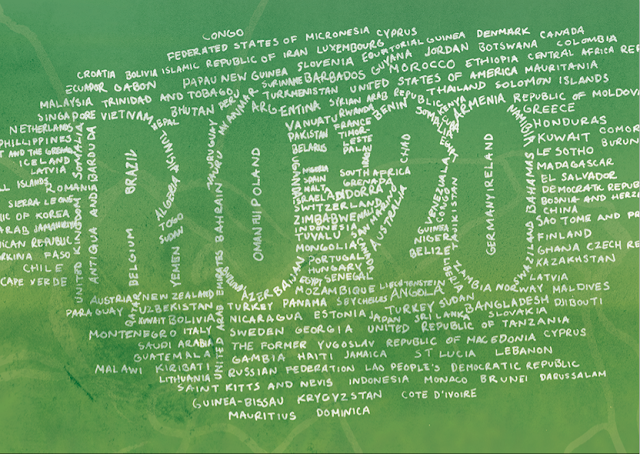 The Rio+20 Conference is now less than a year away. Rio+20 presents a unique opportunity for countries of the world to come together to respond to the multiple economic, social and environmental crises afflicting humanity by resolving to shift boldly to a greener and more socially inclusive pathway towards growth and development. Major milestones along the way to the Conference include five regional preparatory meetings, and numerous dedicated events hosted by governments, UN system agencies and major groups. Intense political negotiations in the first two quarters of 2012 on the draft will help bridge gaps, identify common ground and move member States toward a focused, forward-looking and action-oriented outcome document. improved resilience and disaster preparedness. Climate change cuts across all of these areas, as well as being a high priority in its own right. Another cross-cutting priority that is particularly relevant for developing countries is the means of implementation, including technology, financing and capacity building. In countries both rich and poor, social exclusion remains an unmet challenge. Recurrent economic and financial crises and mounting public and private debts threaten the gains of past decades in social safety nets and the ability of both public and private actors to create jobs. Job creation is a big challenge facing all countries today. Unemployment is a scourge not only for those without work, but for their families. Rio+20 is not just about the environment. It is also about social development. Rio+20 is a summit about people’s lives and livelihoods. It is a summit about action to create more jobs, better jobs and more green jobs. At Rio, Governments need to share lessons on what policies related to a green economy can help to create jobs. Energy security and energy independence are pressing priorities for all countries. At the same time, energy poverty is still widespread in Africa and South Asia. Some 1.4 billion people lack access to electricity, and almost twice that many continue to rely on biomass for cooking. There is a proposal to launch at Rio+20 a global initiative for universal energy access by 2030. Ambitious goals for energy efficiency and renewable energy are also part of the package. If the international community can endorse such an initiative it would be a milestone. This offers a genuine win-win proposal that would bring environment and development benefits together. This package of energy goals is the first concrete step in moving the world’s sustainable development planning horizon from 2015 to 2030. Other sectors must follow suit in the coming months. Even with the great advances of the Green Revolution, nearly one billion people are still hungry or undernourished. Now, farmers around the world experiment with integrated soil, water and plant management methods. These methods blend modern science and traditional knowledge. At Rio+20, we should aim to accelerate an “evergreen revolution.” This revolution will meet the growing global food demand while protecting soils, water and biodiversity. This is the way of the future. Water is essential to life and is the lifeblood of farmers. It has long been taken for granted. This must change. Rising demand is running up against greater scarcity. In many places, desertification and drought are becoming more severe. This is happening even as flooding takes a heavy toll on lives and livelihoods. The risk of conflict over scarce water looms large, as does the challenge of coping with water stress. Closer international cooperation will be needed to avert conflict. Rio+20 offers an opportunity for forward-looking action on integrated water resource management. Cities are concentrations of human energy and creativity. They are both the source of sustainable development problems and the laboratories for solving them. Most of the developing world’s population will live in cities and towns by 2020. Three-quarters of the developed world’s population already does. This means that urban planners and managers, transport planners, real estate developers, architects and engineers all have a crucial role in shaping a sustainable planet. It is estimated that buildings alone account for roughly 15 percent of global greenhouse gas (GHG) emissions. Add transport and the manufacturing of building materials, and the number rises to the 20-25 percent range. Next June, the world’s mayors and local authorities need to come to Rio to scale up successful experiences and set more ambitious goals. The world’s oceans are too heavily exploited and too little managed. The dire state of many fisheries is hard evidence. Many would like to see forceful actions agreed at Rio to accelerate implementation of chapter 17 of Agenda 21 on protection of the oceans. This is long overdue. Rio+20 must be as much about the blue economy, which is an integral part of the green economy. Significant environmental changes are already upon us, often affecting vast areas at a time. Natural disasters occur more frequently and their impacts are becoming more severe. Many economies and societies are under stress. They must adapt to difficult circumstances. Building resilience is crucial. We need earth observation and early warning systems. Also crucial are enhanced prevention and preparedness. At Rio+20, governments and others could commit to work together more closely to strengthen international management of natural disasters and support resilience building efforts in vulnerable developing countries. To effectively meet these new and emerging challenges, developing countries will need international support. Technology cooperation, capacity development and finance will be crucial. The biggest challenges and opportunities are clearly in the fast-growing economies of the developing world. Scalable green technologies will need to be deployed widely in the developing economies. This will provide them the opportunity to leap-frog to a greener path to development than was taken by wealthier countries. To acquire technologies to build greener infrastructure and industries, finance will be needed. Much of the financing for building greener economies will be mobilized by developing countries themselves. But, international financial support will be needed to move towards greener development, especially in the least developed countries (LDCs). Perhaps Rio+20 will launch a new public and private financing initiative, like a global green economy fund. At a time of fiscal tightening and growing debt worldwide, Rio+20 must prove a showcase for creative and innovative solutions for development finance that go beyond the classic methods of the past. Combined, these challenges represent a tall agenda for world leaders at Rio. But, humanity stands at a crossroads. Nature waits for no one, and nature’s warning signs are flashing. Sustainable development is the only path that allows all of humanity to share a decent life on this, one planet.